One of the places where all family members pass, is the bathroom, this reason is important enough to worry about its Decoration and Design . 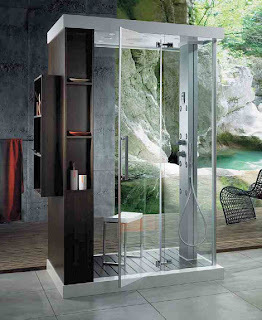 One of the most successful ideas regarding the implementation of the bath, is the use of glass, and refers not only to lamps and ornaments, but for example in the shower, the placing glass panels not only gives a hint elegance, modernity and good taste, but achieves an effect of spaciousness, lighting and clarity. Experience bathing in a shower of this type and you can see that much more enjoyable and relaxing than conventional ones.